From what I can tell, most of my fellow educators spend more time criticizing Wikipedia than engaging with it. The conversation tends to go round in a fairly tiresome circle: The first educator points to an article on the subject of his/her expertise and points to a glaring error to demonstrate that the whole enterprise is worthless. The interlocutor responds with a (highly debated) study to argue that "Wikipedia is more accurate than Encyclopedia Britannica." But neither side comes to terms with the real Wikipedia revolution: It represents a restructuring of the architecture of knowledge. In the decade since its founding, the crowdsourced platform has grown exponentially, radically improved its content, and established a firm foothold in the online environment, now ranking as the fifth most-visited site in the world. The entire enterprise is based on Wikipedia's utopian vision, as spelled out on the back of the staff business cards: "Imagine a world in which every single human being can freely share in the sum of all knowledge." That said, many observers -- starting with the Wikimedia Foundation itself -- realize that this vision is far from realized. This has led the foundation to launch a series of initiatives designed to improve the infrastructure and broaden participation. One of the most intriguing developments is the Public Policy Initiative and its corps of campus ambassadors. 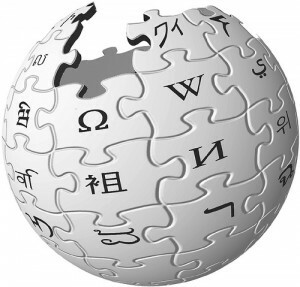 Wikipedia represents a restructuring of the architecture of knowledge. The challenges are formidable. Let's leave aside, for the moment, the two-thirds of the world's population that has yet to gain access to the Internet. The creation of Wikipedia content has striking limitations, even among the 400 million users who visit the site every month. According to Wikipedia's own estimates, only 0.02-0.03 percent of visitors actively contribute to articles. And although technically, content can be created by anyone with an online account, the pattern of participation is admittedly skewed. According to Barry Newstead, the foundation's chief global development officer, "Eighty percent of our page views are from the Global North, and 83 percent of our edits." The English language Wikipedia's content and participation far outstrip those for its 270 other languages, especially non-Western. Of the active contributors, between 80 and 85 percent are male, and half are under 22. Furthermore, participation has plateaued (and even declined) over the last few years, settling in at somewhere between 80,000 and 100,000 active editors per month in all languages. What are the obstacles to growth? First of all, "Wikipedian" culture is known for its contentious behavior, especially toward newcomers who haven't mastered the arcane style and coding. One result is that the content has become skewed toward geek topics, featuring state-of-the-art articles on technology, science fiction and military history, with more erratic offerings in the humanities and social sciences. Backed by a new strategic plan and a $1.2 million grant from the Stanton Foundation, the Wikipedia Public Policy Initiative was born. The foundation decided that the natural focal point for the effort was academia. Colleges and universities were, after all, the traditional centers of learning -- and it made sense to look to students who were researching and writing papers as potential contributors of content. The missing link was the Wikipedia knowledge. This was addressed by the creation of a cohort of Wikipedia "ambassadors" to coach and mentor professors and students through the wickets. Fifty-four campus ambassadors were selected over 2010-2011, charged with offering on-site support in classroom and personal tutorial settings. By coincidence, I had created an unwitting control group for this effort. Last fall I assigned my Media & Society class at Bard College to write or edit a Wikipedia entry, unaware that there was a Wikimedia program for classroom support. I had a few Wikipedia edits under my belt, but I was unprepared for my students' struggles with Wikipedia policies on issues such as notability, verifiability and sourcing. These policies are highly specific, not always intuitive, and don't necessarily mirror academic practice. My international students writing on foreign subjects had far more trouble than my U.S. students in publishing their articles, even if they were of comparable quality (partly, I believe, because it's harder to provide approved citations for local information about countries such as Afghanistan and Burma). I was also remiss in not directing my students toward the sandbox to develop their articles before posting them -- leading to some swift and merciless deletions. At the same time, there are many signs that the Wikimedia Foundation is eager to make the editing process more user-friendly. It has been conducting usability studies to see where the bumps are. Wikipedia has been expanding its live help and a rich trove of learning materials for newbies. These resources are scattered across the Wikipedia terrain and not easy to locate, but the foundation is taking active steps to both build out and codify the materials. It's also sponsoring some friendly competition with a leaderboard to monitor which classes are posting the most contributions over the semester, as well as a "What's Hot" list of most edited articles by students. The Wikimedia Foundation's Newstead told the summit attendees that the organization is still struggling with the challenge of adapting to mobile platforms, the bridgehead for online media in much of the world. "At this point you can't edit on mobile; it's read-only," he reported. "Most people who move to mobile stop surfing the web. They just surf apps." Whatever the challenges, the Wikipedia ambassadors are recruiting a new generation of professors and students to carry the vision forward. There are all kinds of creative challenges to adapting classroom assignments to the mission. Students like publishing their classwork online, but express frustration at team members who don't pull their weight. Professors enjoy the classroom enthusiasm, but struggle with the mechanics of grading collaborative writing projects and articles that are edited by a broader community. Nonetheless, there's every indication that the Wikimedia Foundation's experiment in higher education will take Wikipedia to another stage of its wildly unpredictable ride. Anne Nelson is an educator, consultant and author in the field of international media strategy. She created and teaches New Media and Development Communications at Columbia's School of International and Public Affairs (SIPA). She consults on media, education and philanthropy for Anthony Knerr & Associates. Her most recent book is Red Orchestra. She tweets as @anelsona, was a 2005 Guggenheim Fellow, and is a member of the Council on Foreign Relations.